Landhaus Fluch Bad Durkheim, Hotel Germany. Limited Time Offer! Landhaus Fluch. 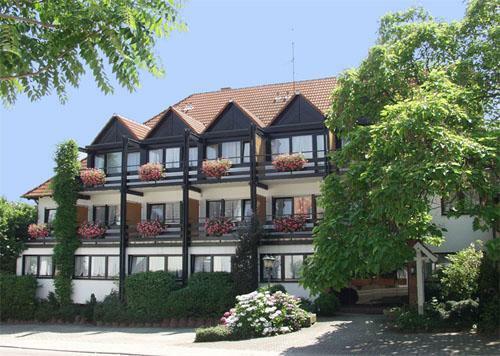 "Landhaus Fluch" has acquired 3 stars. It is a perfect place to stay when visiting Bad Dürkheim. "Landhaus Fluch" includes a restaurant for your gustatory enjoyment. Breakfast is served every morning to offer guests a good start to the day. Business travelers will appreciate that there is Internet access available at no extra charge. Surrounded by the beautiful vineyards and nature trails of the Pfälzer Wald Forest, this traditional, 3-star hotel offers attractive, country-style accommodation in Bad Dürkheim, 1.3 kilometres from the town centre. Set on the outskirts of the Palatinate Forest, this cosy hotel is centrally located in the wine-growing town of Bad Dürkheim. It offers an indoor swimming pool, traditional beer garden and free Wi-Fi.